Ex MILITIA THUNDER continued under the blazing sun. This being the confirmatory phase all activity happened against a realistic tactical background scenario. 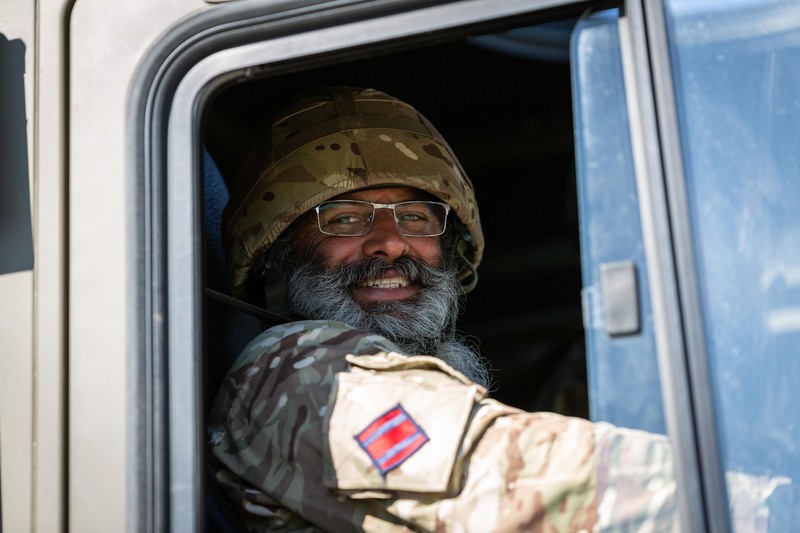 Having deployed on to the area a CLP (Combat Logistics Patrol) was carried out. 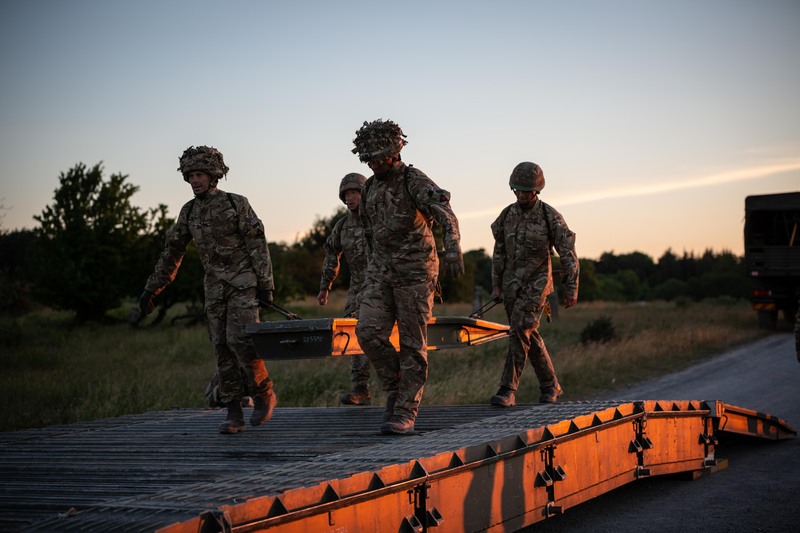 Part of The Royal Engineers’ role is to assist the Army to MOVE and this they did by clearing routes and construction of a 5 bay bridge. 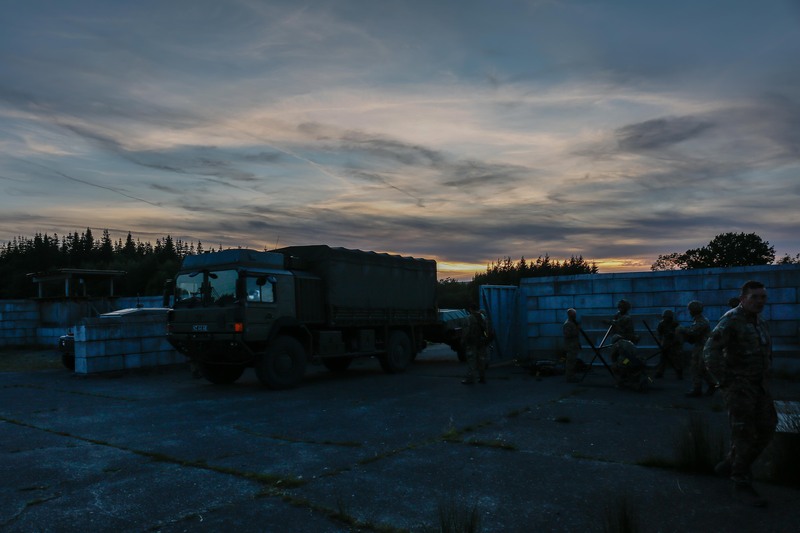 The troops moved to and occupied a FOB (Forward Operating Base) to act as a base for further activity. This is a mode of working that was used in Afghanistan. It allows for an improved standard of living in the field especially with all the other support arms there to…well, support. It may not always be 5 star cuisine in the field but it is certainly much appreciated when the chefs serve up fresh rations rather than ‘boil in the bag’. 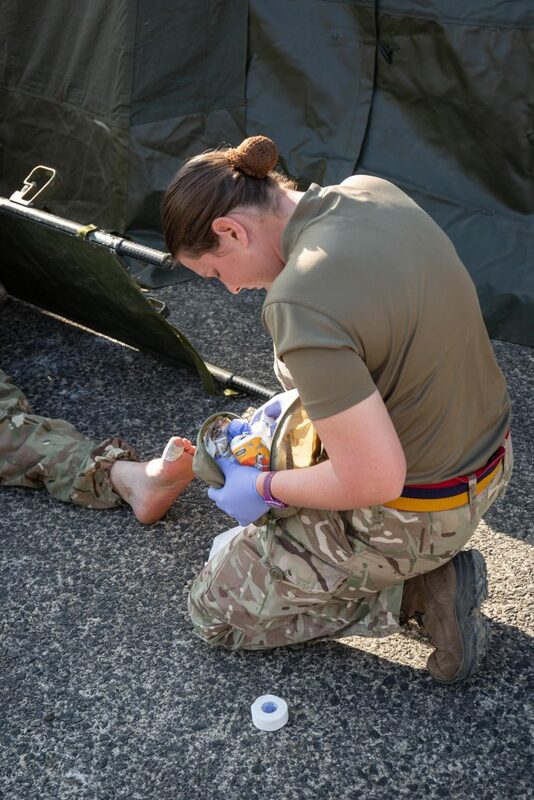 It also gives the opportunity to have a medic patch up your feet-thankfully nothing more serious was needed in reality though most soldiers will recognise that most exercises feature carrying a simulated casualty at some point! Normal routine was then established though the Command Post was informed of enemy activity in the local area. This culminated in an attack by the local warlord and whilst this was defeated and beaten off the Command Post now radioed for much needed assistance against an attack on it. And so the rescuing section found itself hotfooting to their aid. There are times you may not be quite so grateful for the great weather! 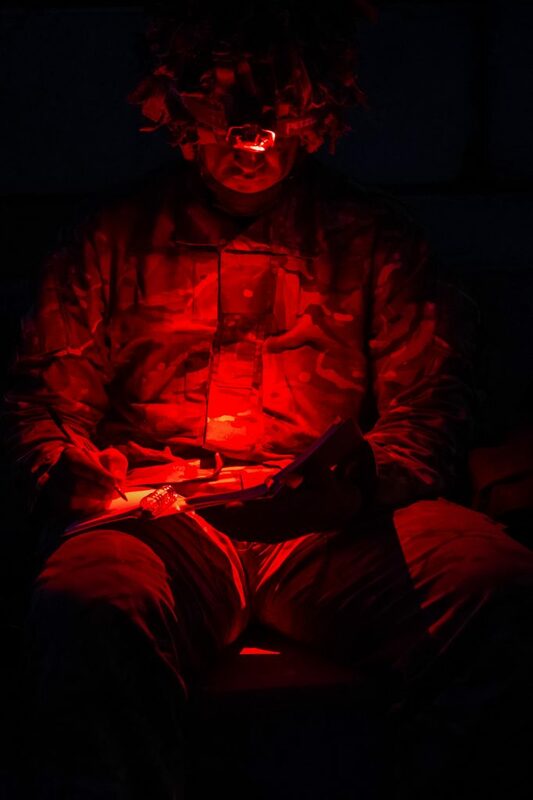 Everyone involved can reflect on a busy, challenging time in testing conditions. 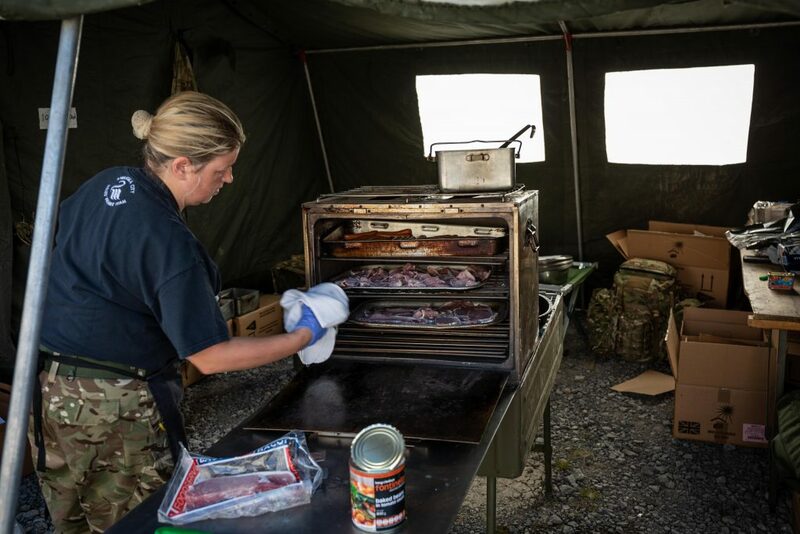 After a well-deserved clean up and barbeque the Officers and Soldiers of The Royal Monmouthshire Royal Engineers (Militia) have now returned to their homes and families-and straight back to work for many! 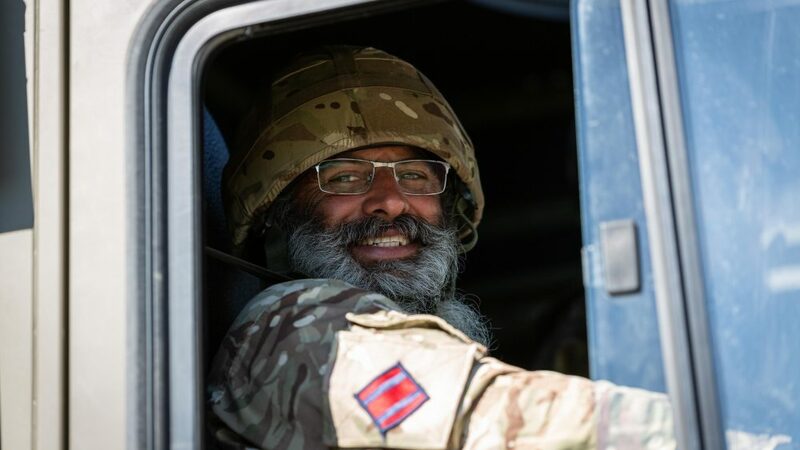 If you’d like to see more about The Royal Monmouthshire Royal Engineers (Militia) go to our Facebook page or see more photos here. 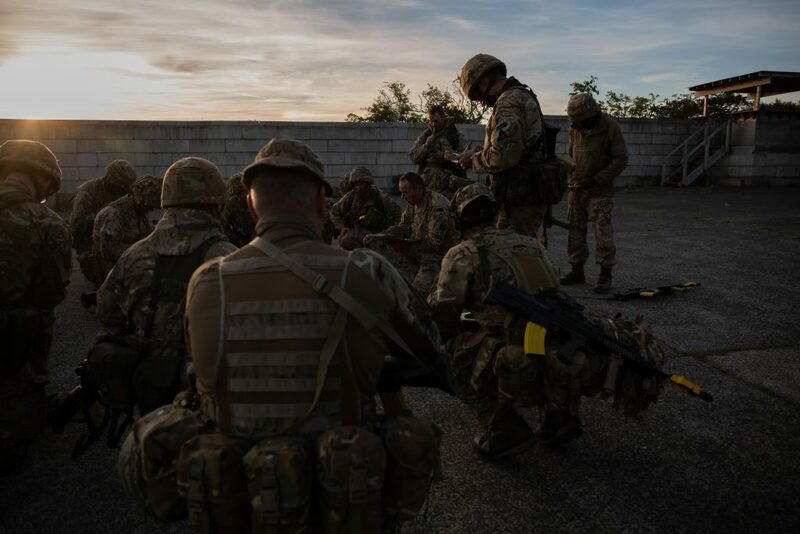 If you would like to find out more information about becoming an Army Reserve Royal Engineer (or a chef, medic or clerk) please call 01600 711455 or 07880 053196 or email rmonrem.recruiting@hotmail.co.uk using the contact form on this website. You can also follow us on twitter @RMonREM.